The world has seen important progress made in the fight to protect widely endangered shark populations over the past few years. In particular, we’ve seen movement in the United States and its territories, in Latin American countries such as Honduras and Chile, and in small island developing States such Palau, the Maldives, and the Bahamas. In spite of this progress, no specific protections have been extended to deep-sea sharks, which are caught in national and international waters around the world. This is why the DSCC welcomes a new effort by the Pew Environment Group, a member of the DSCC since its beginning in 2004. Pew is calling for trade restrictions to protect endangered deep-sea sharks. While coastal and epipelagic species of sharks are sought after for their fins—usually to make shark-fin soup—deep-sea sharks are typically caught for their livers, which may constitute up to 30% of their body weight. Shark liver oil can be used as an ingredient in cosmetics, and some purport that shark liver oil –marketed under the name ‘Squalene’ – can bestow health benefits. 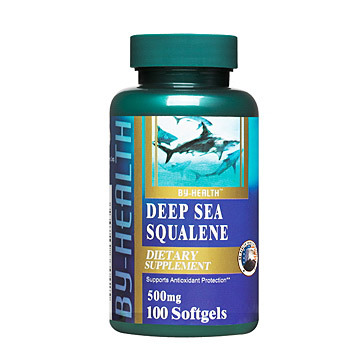 It is estimated that it takes 3,000 sharks to make just 1 ton of Squalene, and the global market for Squalene is between 1,000-2,000 tons per year. That means a demand of as many as 6 million deep-sea sharks a year! To a lesser extent, shark liver oil is used as a machine lubricant and in some pharmaceutical products. 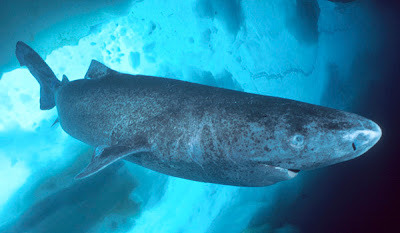 Deep-sea sharks are at high risk of over-exploitation because they grow very slowly and don’t reach sexual maturity until relatively late in life (anywhere from 12 to 35 years of age!). Deep-sea shark populations simply can’t recover fast enough from current fishing activities. For example, in the Northeast Atlantic, where we have some of the best data on deep-sea shark fisheries, the IUCN classifies the gulper shark (Centrophorus granulosus) as ‘Critically Endangered’ and the leafscale gulper shark (Centrophorus squamosus) and Portuguese dogfish (Centroscymnus coelolepis) as ‘Endangered’. Four other deep-sea shark species in the Northeast Atlantic are categorized as ‘Vulnerable’. In recent years, the European Union has moved to phase out targeted deep-sea shark fisheries, and bycatch will soon no longer be permitted to be sold. While this is a positive step, it is an easy policy change when their catches have declined so steeply in past years. One way to greatly reduce the fishing of deep-sea sharks is to restrict international trade in their by-products to levels that have been deemed sustainable. The Pew Environment Group has taken the first important step in raising awarenesss of the impacts of international trade with its recent submission to the 25th meeting of the Animals Committee of the Convention on the International Trade in Endangered Species (CITES). As the submission explains, a number of deep-sea shark species meet the criteria for being listed on Appendix-II of CITES. These species are the Portuguese shark (Centroscymnus coelolepis), the Leafscale gulper shark (Centrophorus squamosus), and all other species in the Centrophorus genus. An Appendix-II listing would require that trade in these species by-products be regulated so that trade is ‘non-detrimental to the survival of the species in the wild’. The CITES Animals Committee met July 18-22, 2011, providing the conservation community with the opportunity to engage with government representatives, the United Nations Food and Agriculture Organization (FAO), and other intergovernmental organizations. Some government representatives and observers thought Pew’s submission raised valid concerns about the state of fisheries for deep-sea sharks. After much discussion in the working group, the Animals Committee invited all member countries to submit a list of shark species that they believe require additional protections. These species will then be considered by a working group on sharks at the next Animals Committee meeting in March 2012. This request for more species-specific information is important. Such an open request for species suggestions is uncommon at CITES, and the submissions mean that the species will have the opportunity to be discussed in the future. All in all, it is a first step in protecting deep-sea sharks before our fishing activities push them over the brink to extinction. C. Gibson, S.V. Valenti, S.V. Fordham, and S.L. Fowler. The conservation status of Northeast Atlantic chondrichthyans: report of the IUCN shark specialist group Northeast Atlantic red list workshop. IUCN Species Survival Commission Shark Specialist Group. Newbury, UK, 2008. MRAG. Deep Sea Market Study. Report Prepared for the Pew Environment Group. April 2011.